Money. When we think of money, we Americans and many around the world think of a special piece of paper, usually with a politicians face printed on it and covered with a number telling the owner of that bill what value it would represent did we still have a commodity backed currency. However, how did we end up using money, or, indirect exchange, in the economy? 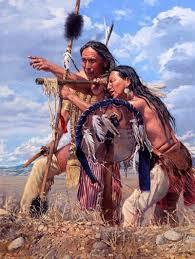 First, lets use the American Indians as an example. Lets say that a tribe has just crossed the frigid expanse of the Bering Strait separating Asia from the North American continent, and are now preparing to move to a suitable location. Once in that new location, they begin to settle down. Lets assume that they had not yet developed the idea of the division of labor and had not immediately settled down and formed villages and towns. Assuming that, lets remember that these Indians are each able to fend for themselves; make their own shoes, tools, and grow and hunt their own food. However, all of these occupations take up much of these Indians time, and eventually it becomes harder and harder for a family to make a living off the land and protect themselves from bandits and wild animals, and so many of these related isolated families get together into a group, and form a town, and help each other out through the division of labor. Some guard the village, others grow the crops, others make the shoes, and yet still more make tools and implements of war. Unfortunately, difficulties arise. Lets say that you want to buy a pair of shoes, and so you go over to your neighbors wigwam and wish to exchange something in your possession for shoes. Supposing you’re a weapon maker, you can offer in barter, or direct exchange, a hatchet for a pair of shoes. But, the shoemaker already has a hatchet, and doesn’t need another, and so the exchange is unsatisfactory to him. You could offer him many hatchets in exchange for the shoes if you’re really desperate, but that would take a lot of precious time, and you have other things you could exchange them for besides shoes. So, you ask the shoemaker what he would take for the shoes, and he offers one sack of grain for a pair of shoes. Of course, since you aren’t a farmer, you don’t have any extra grain lying around, so you go to another wigwam, and speak to the farmer who lives there. You offer him a hatchet for the small sack of grain, and the farmer agrees. You go back with your grain and get your shoes from the shoemaker. But, lets say that you get tired of trying to exchange either your labor or something you own for the goods you need. 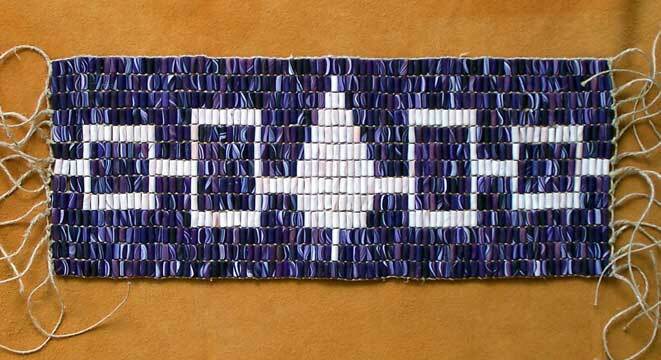 Eventually you find out that wampum, tiny purple or white shell beads were very rare, and in high demand, not only for their commodity value for use in jewelry, but also, since they had cost due to their rarity and not easily destroyed, and so you decide to instead use wampum and use them to make transactions. Now that you’re using wampum as a medium of exchange, you no longer have to go barter for your shoes and end up having to waste a bunch of time to get exactly what the person wants; you can just walk up to them, and hand them the wampum. You charge wampum for your goods and services, and exchange them for the goods and services of others. Now these Indians are using indirect exchange. Now, lets skip centuries into the future, into the early history of the United States. 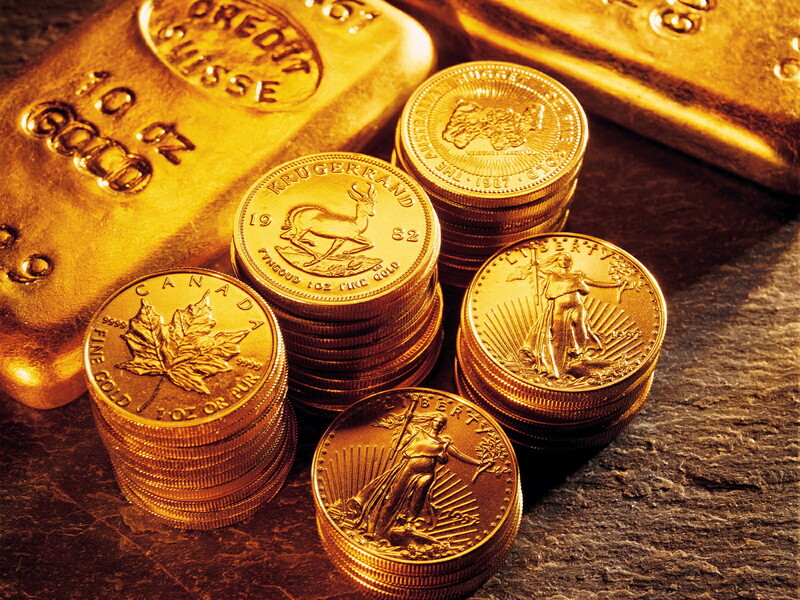 Gold and silver are the primary commodities used in exchange, as well as other metals such as copper. Just as people got tired of bartering, they also got tired of lugging around heavy bags full of gold, and so banks began issuing notes to their customers. The notes represented gold in the bank. A $20 bank note was worth $20 in gold, and the note could be taken to the bank and gold be given to the former holder of the note. Just as people knew what a pound of gold could buy, they also knew what the note that represented that pound of gold could buy, and thus transactions were comfortably carried out using the bank notes. Finally, we come to the present day. After seizing all the people’s gold, the U.S. government created what is known as a fiat currency in 1934, with the Gold Reserve Act. Fiat currency is essentially paper money that is not backed by anything except the governments word and is forced upon the people as their main method of exchange. The only reason why this works is because of the process described in this post; people barter, then the switch to a more convenient method of exchange, and then they use paper that represents the commodity being used for exchange in the economy, and then they take away the commodity that backed the currency. People still continue to use the paper as if it were still backed by a commodity. And so, we have now traveled through time and explored the evolution of money into what we now use today; first barter, or direct exchange, then indirect exchange through some commodity, and then indirect exchange with no commodity, propped up by the state alone.